What Is the Best Device For Sling TV? What is the best device for Sling TV? Fortunately, there are a number of options depending on the type of television you have or want to purchase. Sling TV is a streaming television service operated by Dish Network. You can view approximately 150 channels typically offered on standard cable TV packages. Channels include movies, news, sporting events, children’s shows and similar programming. Pricing options include Blue or Gold levels, or a combination package containing a range of different options and premium channels to meet your viewing preferences. Sling TV is similar to a television or cable provider because it supplies programs from various channels, though there is no contract or minimum service level. They transmit their signal over the internet as a streaming service. However, you will need a device to decode and present shows on your television screen. Some television manufacturers support Sling TV through an app in their built-in smart TV device. You can also connect a separate streaming device to carry these channels or even watch programs on your phone, tablet or computer. We will explore some of these options to help you make your decision. Roku is a popular streaming TV unit and may be the best device for Sling TV depending on your circumstances. You can purchase a Roku TV produced by Hitachi, Sharp, TCL, Element, Insignia, Philips, Hisense or RCA. These manufactures offer a wide range of units based on screen size and image quality to meet your budget. Built-in Roku TV hardware streams Sling TV channels from a single source. What if you already have a TV? Roku offers many options. The Roku Express and Express+ base models work well for smaller TVs in your bedroom or kitchen. Both units have similar features, but the Roku Express+ connects to older TVs with composite cable ports. The $29.99 Roku Express is very affordable and similar in price to the Google Chromecast reviewed later. The Roku Express+ costs a bit more at $35 due to the analog connection hardware. The Roku Streaming Stick at $49.99 and Streaming Stick+ for $69.99 take you to the next level with voice remotes and a slim USB design. Streaming Sticks work particularly well with wall mounted sets. You can even take them on the road due to their small size using the Hotel & Dorm Connect feature. Student and business travelers take their Roku account and content with them, and the unit automatically connects them to the new TV set. The Roku Streaming Stick+ costs more due to its Ultra High Definition 4K performance. You may not need this feature because most cable channels carried by Sling TV only transmit at 1080p High Definition resolution. The Roku Ultra priced at $99.99 is the high-end unit of the brand best used with your main television. You will enjoy the voice remote, and other people in your home can appreciate the quiet provided by the headphone jack for private listening. 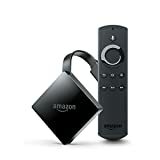 Amazon Fire TV devices offer another excellent choice for Sling TV streaming. Similar to the Roku TV, you can purchase the Fire TV Edition from Toshiba in 43-inch, 50-inch and 55-inch sets. Use your voice to launch the Sling TV app using the remote paired with Alexa. Amazon offers a high-end Fire TV device with 4K Ultra HD for $69.99. You can stream 4K content from other sources, but may not need it for most Sling TV 1080p channels and content. Apple TV is another candidate for the best device for Sling TV. You can choose between two units, the Apple TV 4K for $179 and Apple TV for $149. Sling TV runs well on the lower-priced Apple TV model, and the Siri Remote also supports voice commands to simplify your viewing experience. Apple TV is a good choice for the iOS household. Besides viewing Sling TV, you can watch movies from the iTunes library, watch the videos you took using your iPhone and play other streaming services. Google offers a simple and inexpensive way to stream Sling TV. Chromecast is a small device that plugs into your HDMI port. You do not need a separate remote since it runs from an app on your smartphone or tablet. The Chromecast costs $35, and the upgraded Chromecast Ultra supports Ultra High Definition 4K programming for $70. The unit is easy to transport but lacks the Hotel and Dorm Connect feature contained in the Roku Express. You must manually set up a new connection each time you reinstall it. Chromecast may be a good option if you want to avoid adding a separate box and remote, as the minimalist approach keeps your TV uncluttered. Google Android TV, a different solution than Google Chromecast, is an interesting option for Sling TV streaming. Android TV presents programming content in an organized way, especially when searching for a specific show, background information or type of programming. The remote control supports also voice search. Google Assistant drives access to programs plus all other features associated with this technology. Android TV is built-in to the Sharp AQUOS and Sony BRAVIA television models, or you can add the $99.99 Mi Box manufactured by Xiaomi to your existing TV. The NVIDIA SHIELD priced at $179 supports Sling TV using Google Android TV technology. Gamers may enjoy combining their favorite titles with streaming television channels. This technology is relatively new, so devices are limited. The Google Android TV may be a good Sling TV streaming solution for gamers or people using Android apps. The best device for Sling TV may be a Samsung TV. Samsung offers Smart TV in most of their models. Select your favorite Sling TV channels using the Voice Assistant on your remote control, or control your set using the Samsung app loaded on your phone or tablet. Easily find all your Sling channels, apps, movies and over-the-air TV stations in your set. Samsung is known for their high-quality products. You will find your favorite Sling TV programming on a wide range of models from Full HD, UHD, Premium UHD and QLED Smart TV models. LG has over 60 Smart TV models, and all of them support Sling TV streaming. The Smart TV app controls Sling TV similar to other models in this review. LG is a good choice for a Sling TV device if you want to control it only using your TV set. Many 2018 LG smart TV models support both Google Assistant and Amazon Alexa voice control commands to enhance Sling TV viewing. Check out LG’s OLED and Super UHD sets to see this feature. Do you primarily use Sling TV for most of your programming? If so, the Sling AirTV Player costing $129.99 bundled with the AirTV Adapter is the best device for Sling TV exclusive use. The device is produced by Sling and optimized for their product, making access to other streaming services with the device limited. The remote control quickly accesses Sling programming, and the interface supports easy navigation between Sling channels. The AirTV Adapter sets this unit apart from the competition. Simply plug the over-the-air antenna in the unit, and the AirTV Player conveniently merges these channels with your Sling channel schedule. AirTV is an Android application so you can run the thousands of titles available in the store. Simply press the Google button on your remote to run this content. You do not need a TV or add-on device to stream your favorite Sling TV channel. The Sling TV app is available for all iOS and Android devices. Simply download the app to your phone, tablet or computer, log in to your account, and enjoy all the channels available to you. You can find the best device for Sling TV based on the television you have and viewing habits. You do not need additional equipment if your current smart television supports Sling TV. Roku and Amazon Fire TV offer a variety of devices with different price levels, features, and resolution. Take the Roku Streaming Stick and Streaming Stick+ with you when you travel. Apple TV fits well in homes using multiple Apple iOS devices while Google Android TV supports the Android-based environment. Google Chromecast provides an inexpensive way to stream Sling TV and use your phone as a remote. 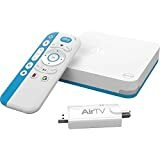 The Sling AirTV Player coupled with the AirTV adapter works well if you only plan to stream Sling TV, and this is the only option that combines Sling TV channels with over-the-air content in a single programming guide. You can even bypass your TV completely if you want to view Sling TV on your tablet, phone or computer. Simply download the Sling TV app, log on and enjoy your favorite programs.